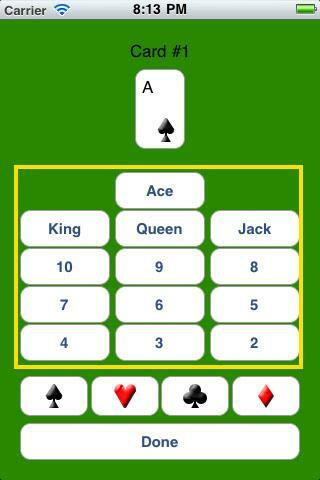 Ever wanted to know how to play Jacks or Better perfectly? Have you ever tried memorizing the optimal strategy to play from a website, but forgotten them when faced with the actual hand? Have you ever wondered how the strategies some websites give you to memorize change when using a suboptimal Pay Table, which most Pay Tables are? You can rest easy now! 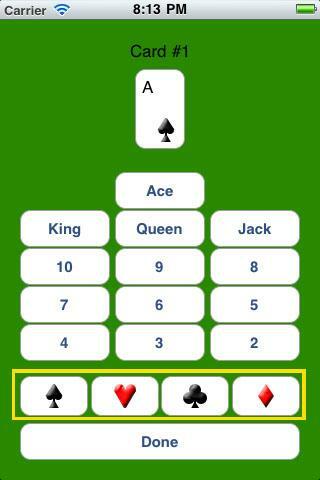 PerfectPlay: Jacks or Better will inform you of the BEST way to play EVERY TIME! 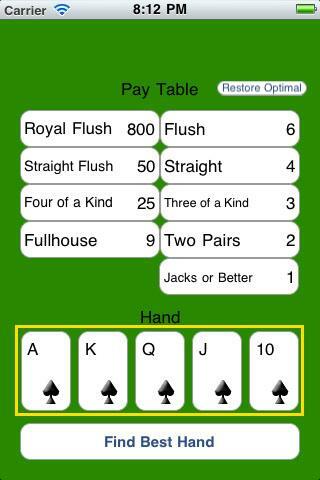 PerfectPlay: Jacks or Better figures out the best way to play every hand and with any Pay Table! 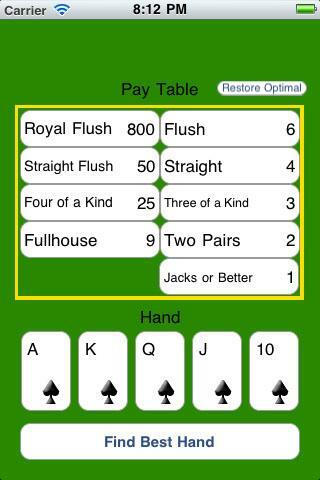 Simply input the Pay Table you are playing with, the hand you received, and hit 'Find Best Hand'. Then sit back and let your iPhone figure out the best way to play! PerfectPlay: Jacks or Better will inform you of the best cards to hold, and the expected return. For curious-minded individuals, PerfectPlay: Jacks of Better will also determine the expected return should you choose to hold a suboptimal set of cards by simply toggling each card's held status! > Click the payout you wish to change. 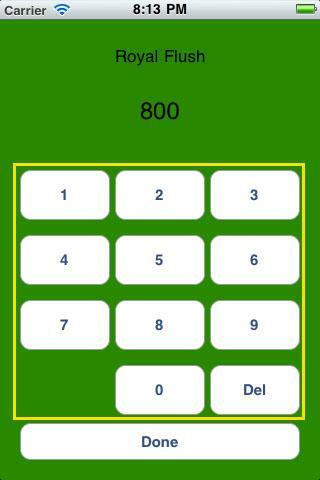 > Use the number pad to input the value corresponding with the payout. > Click the card you wish to change. > Use the available buttons to choose the card value. > Use the available buttons to choose the suit value. - A warning appears if the card you select is already in your hand. - You will need to change the card before clicking 'Done'. > Initial shows the Optimal Strategy*. > Click on a card to change strategies. 2) Expected Return with the current strategy. 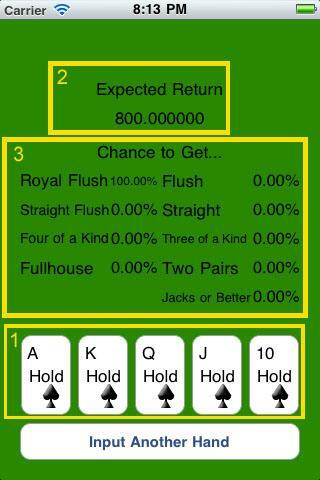 3) Probabilities of each payout with current strategy. *There may be more than one Optimal Strategy, but all Optimal Strategies have equal Expected Returns.